Qaidam Basin is situated in the Tibetan Autonomous Prefecture and Haixi Mongol, in the Qinghai Province of People's Republic of China. The basin is also known as Tsaidam as per Mongolian dialect, which means "Salt Marsh". This is basically a hyperarid basin, which is stretched about 120,000 square kilometers. There are 27 saline lakes in the basin and also playas which altogether accounted as one fourth of the basin. One third of the basin, that an area of 35,000 square kilometers are pure desert and is called as Chaidamu Pendi Shamo known as in Chinese and generally called as Qaidam Basin Desert. The Qaidam Basin is part of Tibetan Plateau. 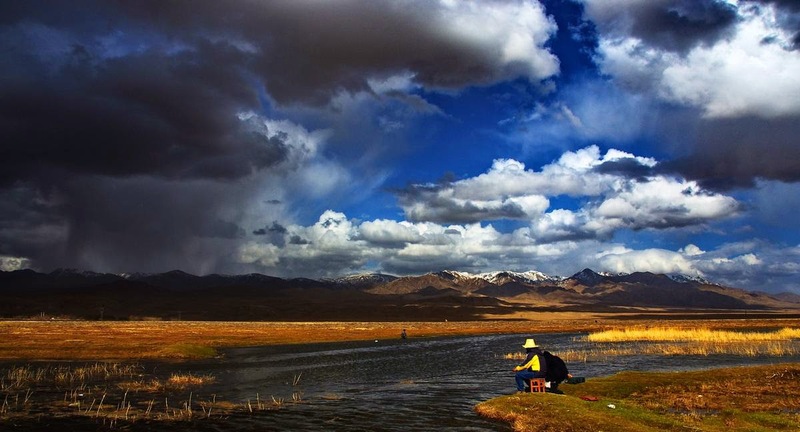 Tibet Plateau is about 14,000 feet above the sea level but Qaidam is about 10,000 feet and when it stretches towards Gansu and further north the altitude stay varied between 3,000 to 4,000 feet. Qaidam Basin has the largest deposits of asbestos, Borax, Gypsum, natural gas and oil. Also the basin has rich deposits of rare metals such as lithium, potassium, sodium and magnesium than any other part of China. There are 22 surveyed oil fields which are having an estimated 225 million tons of oil deposits and 150 cubic meters of natural gas deposits in 6 identified gas fields. These deposits are the strong economic power house of modern china. One of the main rail transportation links of Qinghai-Tibet Railway passes through eastern part of Qaidam Basin gives an easy access to the mineral rich basin. Some of the endangered mammal species, namely Bactrian camels and Przewalski's horses are reportedly seen in the desert basin. It is unlikely to have these mammals to survive in this part of the world but it is a reality that the basin support good number of Bactrian camels. The mountain valleys on the slopes are rich in vegetation and as result lots of wild animals are seen settled here. Mainly musk deer, Tibetan antelope are the main animals that you can see here. It is quite interesting to learn few things about the geology of Qaidam Basin. 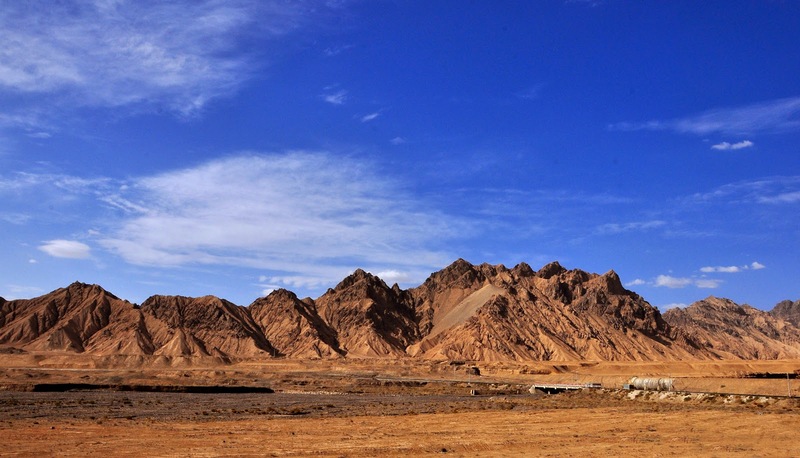 Qaidam Basin was considered as an integral portion of North China geological territory, more than one billion years ago. There are scientific evidences to prove this theory. Due to the continued plate disintegration, during the Eopaleozoic era, that is about 560 million years ago, it was separated and surrounded by shallow sea. At the end of Eopaleozoic era, due to intense tectonic movements, the basin began to uplift. The area became a land in the next 200 million years. The basin was completely disintegrated from Mediterranean Sea in the beginning of Neogene Period. It formed as a plateau, now known as Qinghai-Tibet Plateau. Surrounded with mountain, chances of getting rain reduced and the rich forest areas gradually turned in to desert. When the existing water evaporated, salts and rare metals converged and eventually formed in to salt lakes. The best mode of transport to reach Qaidam Basin is by travelling by train. If you are travelling by a group, a train journey will give you all the kind of fun and entertainment. You can take the Qinghai-Tibet route and get down at Golmud which is located at the southern edge of Qaidam Basin. From here you can hope in to tourist bus or regular bus that can take you up to the Qaidam Basin. Feel thrilled, then don’t wait! Qaidam Basin is calling you! !